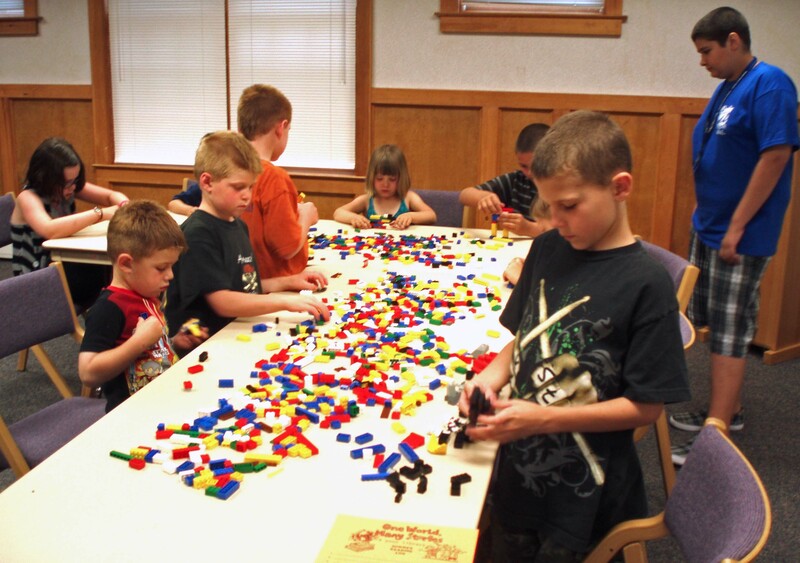 Here’s a craft that brought in both boys and girls. 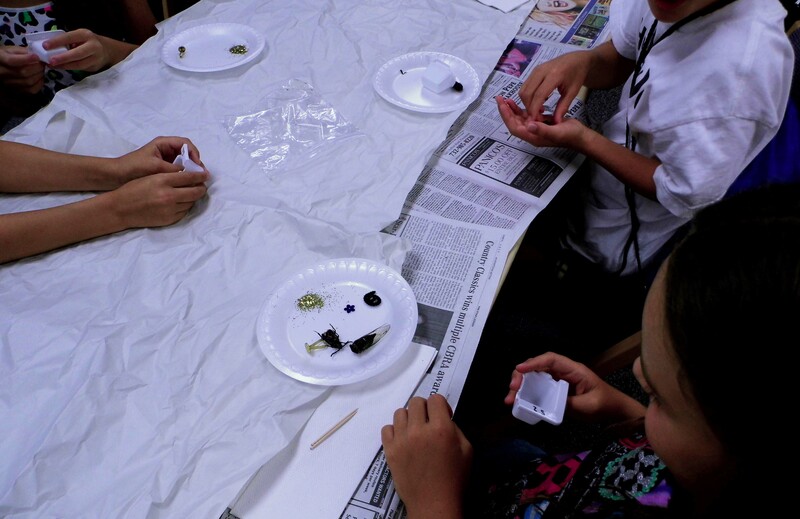 Children had a choice of either dead bugs (brought from home or provided by our brave Waretown staff members) or glittery bug decals to be placed in a mold of resin. They also had a choice of using their jewels for a pendant, bracelet, or brooch. Once instructions were given by staff member Beau Irwin, SAIL volunteers gave a helping hand to maintain order and help students with the somewhat sticky, tricky resin. 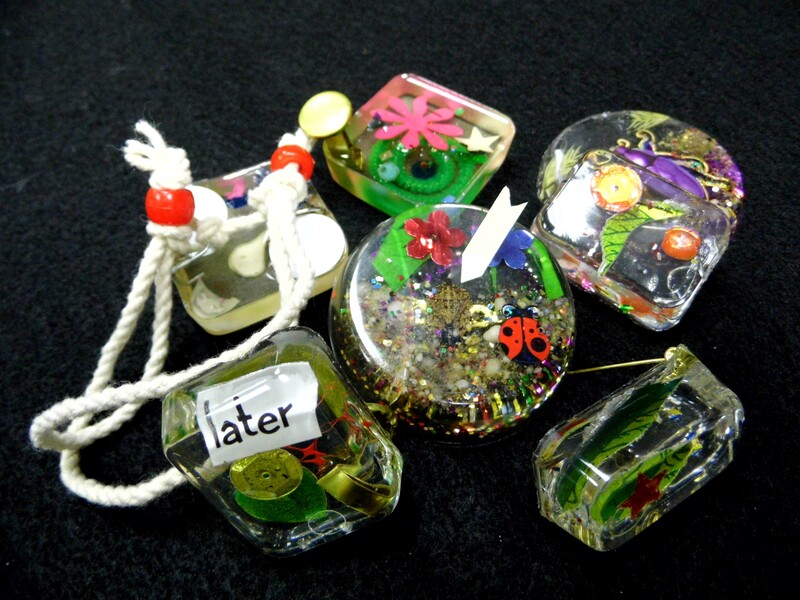 Students went home with their treasures, promising to un-mold their works only after a 24 hour period. Here are some examples. The arrow points to the only “real” bug (stink bug). Economic paper clips and binders were used as jewelry findings. 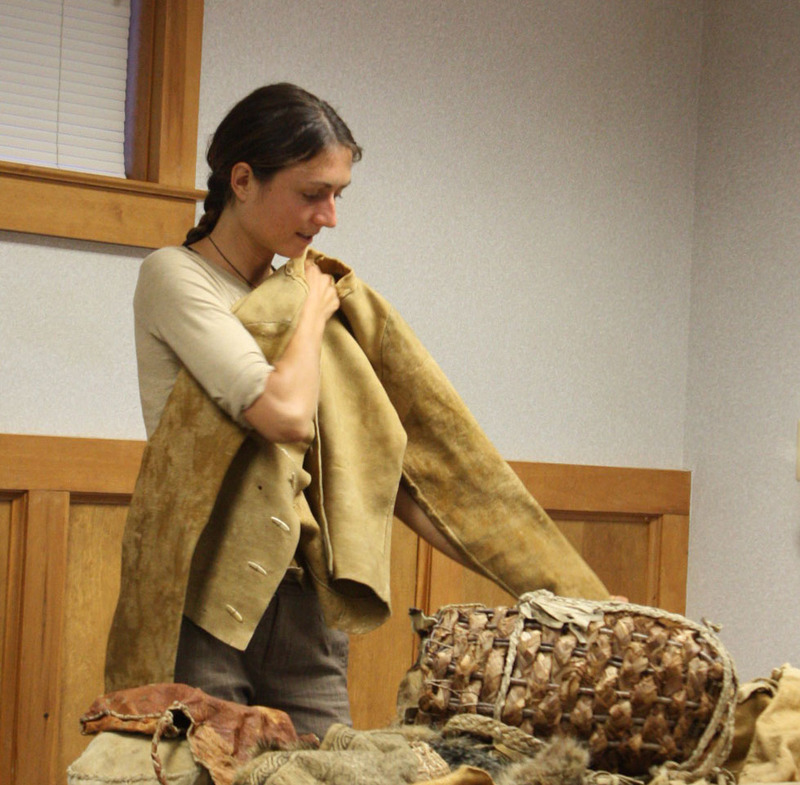 Carmen Corradino, a Tom Brown Wilderness Survival School instructor, amazed our Waretown audience with her knowledge of Pineland bounty. 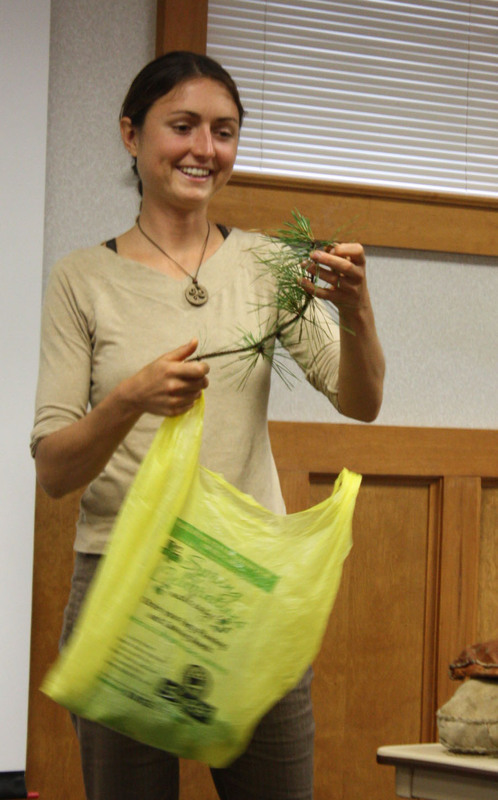 For example, she demonstrated nine different ways to use the common pine as edible sustenance and medical relief. Numerous common, regional plants were also revealed from her “shopping bag” of goodies. Her experience of living grid-less in the wilderness was truly admirable. Her daily needs were all supplied by what she had found in the environment. 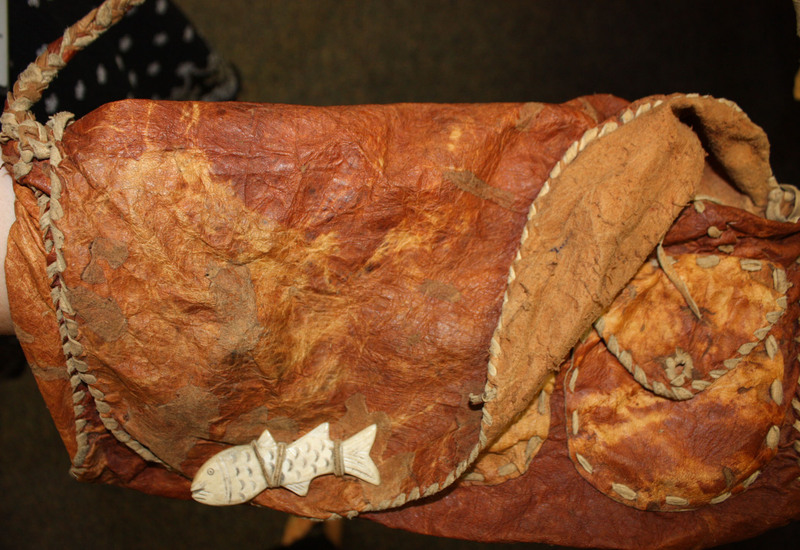 From constructing a wigwam and A-frame (which, by the way, survived both hurricanes Irene and Sandy) to sewing her own practical wardrobe of naturally available pelts, Ms. Corradino was truly an inspiration in living a balanced life with nature. Just in time for the exciting lead-up to the Super Bowl, we conducted our own version of a “Bowl” by using Crystal Tibetan Singing Bowls. Our goal, however, was not to excite, but rather to help achieve a physical and spiritual balance. Participants reported lessening of the stress that they had experienced over the holiday season. 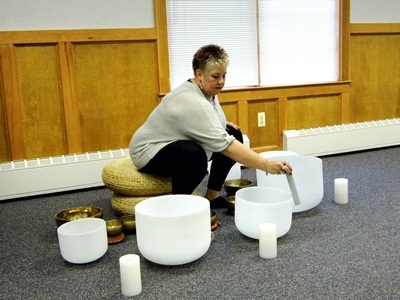 Linda Flatt, coaxed vibration sounds from these bowls to enhance serenity and calm “on a cellular level” in people who attended the program. The operative word for our WA Reading Buddies…encouragement! 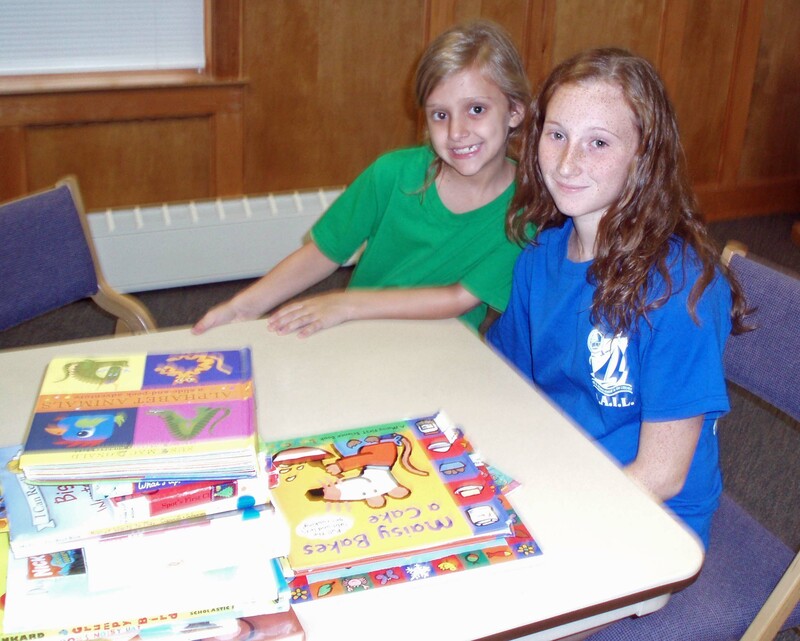 From the onset of a few hesitant words to sentences that flowed freely, our young readers felt fostered throughout the program by our supportive SAIL volunteers. Way to go future readers! 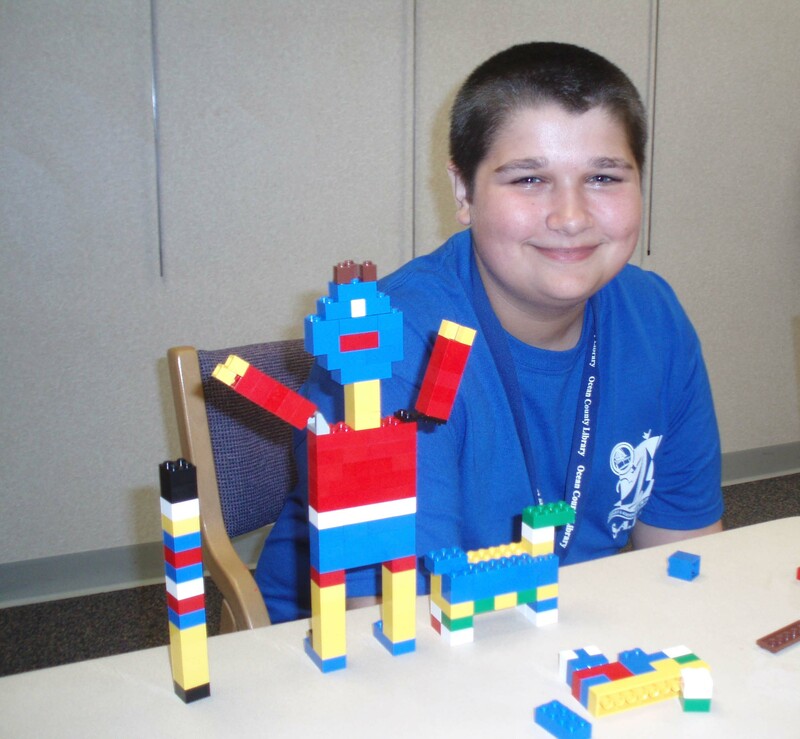 Waretown: Legos and Duplos and Dragons…Oh, My! From the imagination of both girls and boys appeared some very bizarre creatures and whimsical figures, made of Legos and Duplos. Our WA SAIL volunteers stood by to lend a supportive hand, but soon realized that, once the inventive momentum begin…watch out! Robots, and fire breathing creatures in rainbow colors occupied the meeting room. “The greatest wealth is health,” said the classical Roman philosopher Virgil, but what if one can’t afford it? Health care can be prohibitively costly for many, especially during these economically difficult times. Whether you have lost your health insurance due to a job loss or your medical costs have grown beyond your financial means, there just might be a solution for you. New rights and benefits have recently become available. And many more free or low cost programs are in the making to help alleviate the strain often associated with medical costs. Discover how you and your family can take advantage of these new developments. A representative from The New Jersey Department of Banking and Insurance will present a free program at the Waretown branch, 112 Main St., Monday Sept. 19 at 7 p.m. covering your concerns. Seating is limited, so please register by calling the branch (609) 693-5133 or online at www.theoceancountylibrary.org . Your customers use social media (Facebook, LinkedIn and Twitter, etc.) to see what’s happening with companies of all sizes. If you don’t have a social media marketing strategy you are missing out on a huge opportunity. Learn how to get your company into this profitable conversation for free! Thomas Forgione President and Chief of Customer Happiness at Web Alliance International, Inc. will show you the steps necessary to create a professional and profitable social media campaign. Great for beginners! 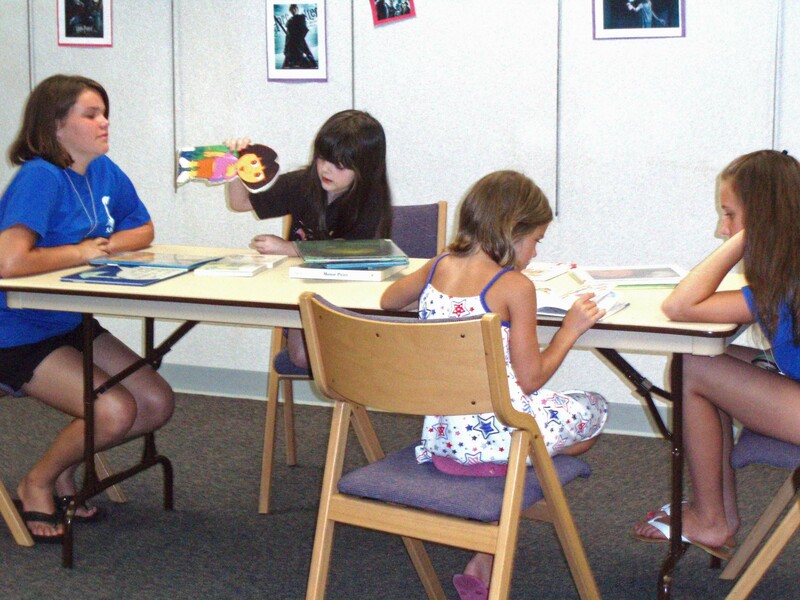 This program will be held in the Waretown branch, 112 Main St., Saturday Sept. 10 beginning at 10:30 a.m. It is free and open to the public. Register online www.theoceancountylibrary.org or telephone the operator @ (609) 693-5133.